After learning a couple more techniques at Blender Diploma, I combined two techniques to create this. 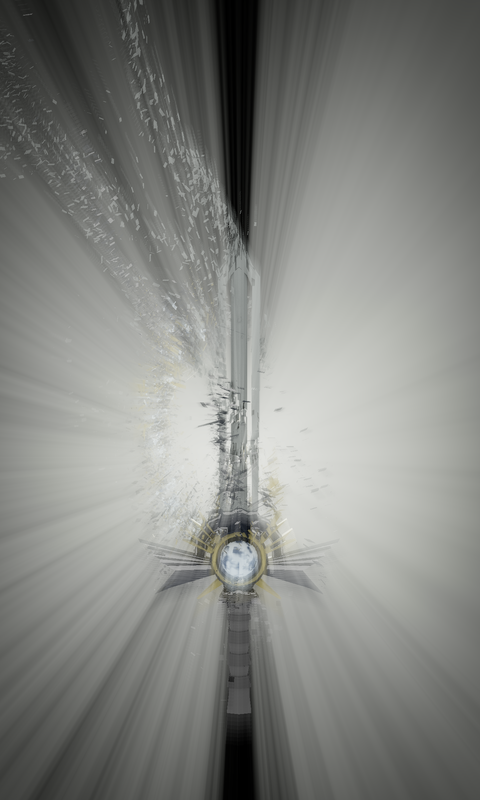 The light rays are actually completely dynamic, in that they are actually calculated according to each particle of the sword model that I created. In an animation this would be much more apparent. In addition the particle were made so that they dissipate as they moved away from its origin. The blade shatters to a couple hundred thousand pieces in this process. Its a cool technique, which I’ll be using again soon! Posted in Blender, VFXTagged Blender, VFXBookmark the permalink.